The GOP’s plan for public education is simple — get rid of it. They’re crushing public school teachers through union busting and proposals to raid retired teachers pension funds in a series of 744 bills in every state throughout the country. They also propose to eliminate the federal Department of Education by defunding it. Parents and guardians are standing along side of teachers across the country ad are pushing back against these cuts. In a despicable effort to sway parents, Republicans’ answer is push the voucher system. Part of that proposal is to restore funding to the D.C. Opportunity Scholarship Program. This controversial program gave publicly funded scholarships to low-income students to attend private schools and was defunded by the last Congress. House Speaker John Boehner pushed the House to pass legislation to refund this program, stating that the program allowed him to attend Catholic schools helping him to become the most powerful member of Congress. In resurrecting the D.C. 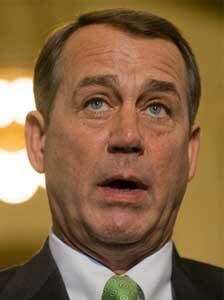 Opportunity Program, Boehner says he wants to give low-income D.C. students the same opportunities he had. I doubt very seriously that the Obama administration will allow this bill to pass and be signed into law. In my opinion, the GOP strategy is to use the D.C. Opportunity Program as a national model for other states to follow. And they will in the same way that they picked up the gauntlet on union-busting and anti-choice legislation. Watch for it. Scary: GOP’s 2012 education priorities – The Answer Sheet – The Washington Post. It makes me mad to hear people, most especially sanctimonious so-called leaders, run down our public schools. I become even more riled when those bloviating windbags on talk radio and cable TV berate public school teachers as lazy, incompetent, dues-paying union sympathizers who only care about a paycheck and don’t give a hoot about children. And when they label public school students as ignorant or otherwise “worthless” — a waste of taxpayers’ money — it makes my blood boil to the point almost of a volcanic eruption. Speaking out for Texas public school teachers | Editorials & Opinions | Fort Worth, Arlington….